Yinka Ayefele, OON, was born in Ipoti, Ekiti State, Nigeria. In his early years, Yinka Ayefele had his primary education at Our Saviour’s Anglican Primary School, Ipoti-Ekiti. His secondary education was also in Ekiti State. Upon conclusion of his secondary education, Yinka Ayefele proceeded to Ondo State College of Arts and Science, Ikare Akoko in Ondo State for his tertiary education. Yinka Ayefele is one of the most popular Yoruba gospel musicians in the Nigeria Presently, he has produced about 15 albums and he has over 200 awards to his name as of 2016. In 1997, Yinka Ayefele entered into the Nigerian gospel music industry after he suffered a ghastly motor accident that damaged his spinal cord and confined him to a wheelchair. 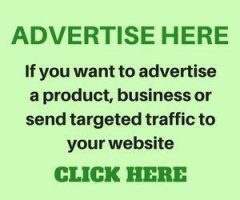 Notwithstanding, Yinka Ayefele has been reborn in his gospel ministrations as He has been able to touch more lives through his ministrations as a physically challenged individual as opposed to when he could walk. It is evident that God has been able to glorify Himself in Yinka Ayefele’s life. 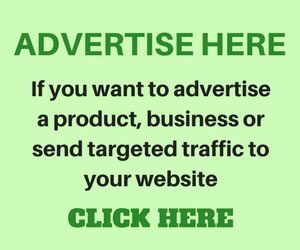 Yinka Ayefele worked briefly as journalist and broadcaster at the Federal Radio Corporation of Nigeria, Ibadan, where he also produced jingles and musical works on radio. He began his music career in 1997 after he was involved in an automobile accident which damaged his spinal cord and confined him to a wheelchair. In truth, Ayefele in his early days never really had the passion for music. He thought he would become a banker or work in a firm as a clerk. He just saw his life shaped in the corporate world with music not even in his plans but as fate would have it, he is doing gospel music and doing it excellently. 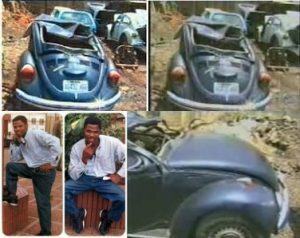 Yinka Ayefele after being in an auto crash, spent about 9 months at the hospital and after that, his friend, Kola Olawuyi visited and advised him to put some songs together. He later started music in December 12, 1999. It was at the Bitter Experience album launch. He did the launch to raise funds for the payment of his medical bills. The launch of Bitter Experience was very successful and when he saw how people appreciated his music, he decided to stick to gospel music as his career path. Bitter Experience shot him into fame in 1998 and this followed the release of his next album, Sweet Experience. Other albums released by Yinka Ayefele are Something Else, Divine Intervention, Life After Death, released in honor of Gbenga Adeboye a Nigerian radio presenter, musician and comedian and a host of others. Today Yinka is one of the most popular gospel artistes in the country, he was among the entertainers at Patience Jonathan’s elaborate dinner party held dating back to August, 2013. Bitter Experience (1998), Sweet Experience (1999), Something Else (2000), Divine Intervention (2001), Fun Fair (2002), Life after death (2003), Aspiration (2004), Fulfilment (2005), New Dawn (2006), Next Level (2007), Gratitude (2008) ,Absolute Praise (2008),Transformation (2009), Everlasting Grace (2010), Prayer Point (2011), Goodness Of God (2012), Comforter (2013), Overcomer (2014), Upliftment (2015). 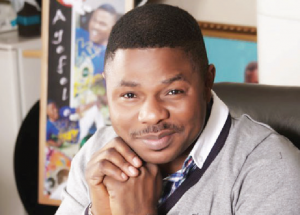 Yinka Ayefele has received over 200 awards. Some notable ones include, Officer of the Order of the Niger awarded by Goodluck Ebele Jonathan, former President of Nigeria (2011), and Ekiti cultural ambassador award.